One of our members is working on a presentation to city council's Transportation and Public Works committee. The presentation advocates aggressive LRT expansion, planning all legs together and well in advance, and integrating LRT with land use planning. An example LRT map at the 2040 Horizon (corresponding to current land use planning) is currently under development, and TRUE members will vote whether to fully endorse the presentation at an upcoming meeting. 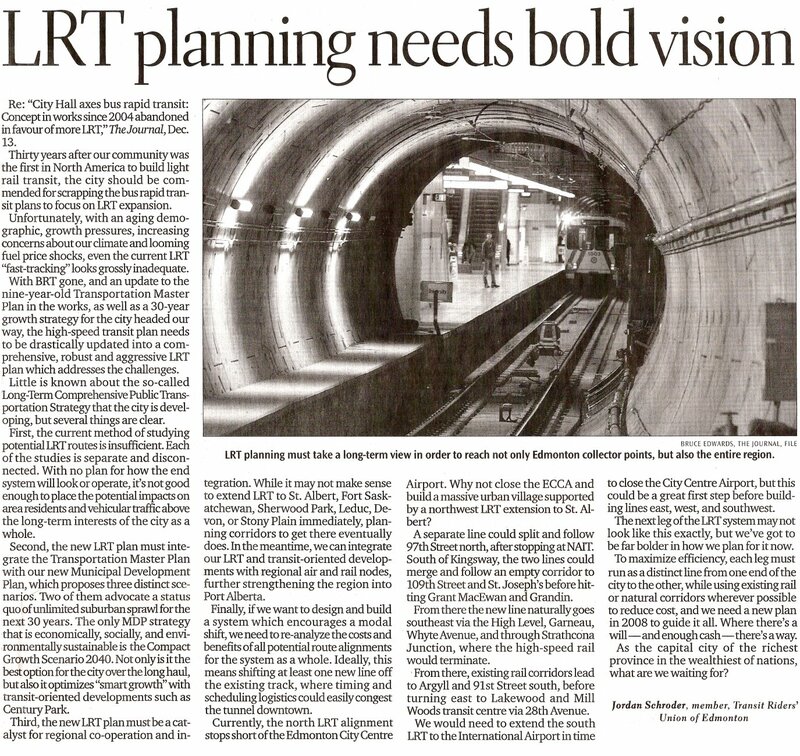 We are very interested in all members' thoughts about LRT expansion. How does the current service meet your needs? What would you like to see come out of this? Do you have any special stories, experience, or statistics to bring to the table? 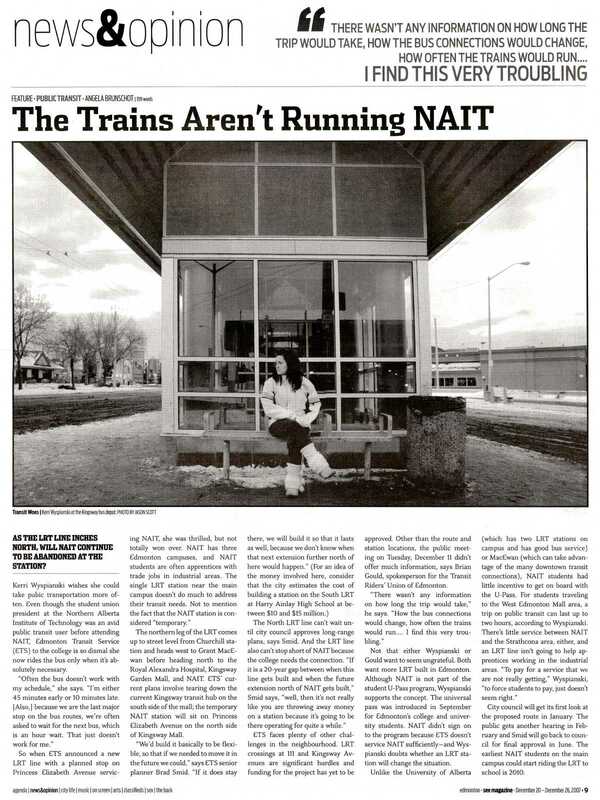 What do you think of the North (NAIT) LRT plans? Where should we be building LRT? When do we need it?